It’s time for my sporadic plea for more photographs from readers. While I have about ten sets in reserves, that will last for only a week and a half. If you have good wildlife photos, please send them to me soon. And thanks to all the photographers who have obliged me in the past! This morning we awoke to a blanket of fog. As the sun began to burn through, a handsome young red-tailed hawk (Buteo jamaicensis) appeared. The temperature was in the 20s and the trees along the river were coated in frost. 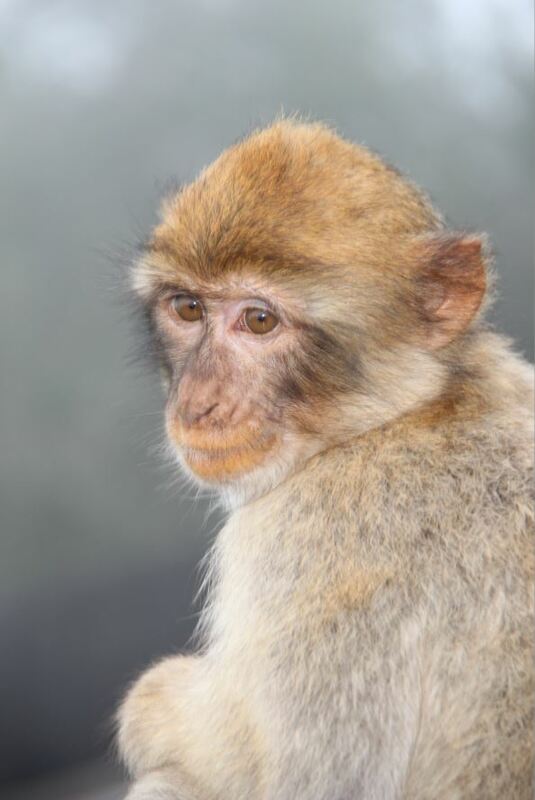 Reader pyers sent some photos of Barbary macaques (Macaca sylvanus) from the Rock of Gibraltar. 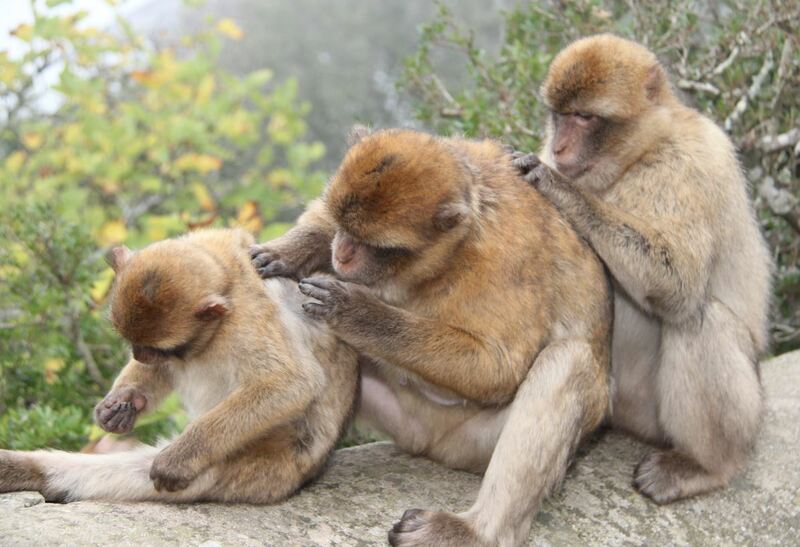 While the animal is distributed spottily in Morocco and northwest Africa, there’s a colony of 300 individuals (in five troops) inhabiting the rock of Gibraltar. 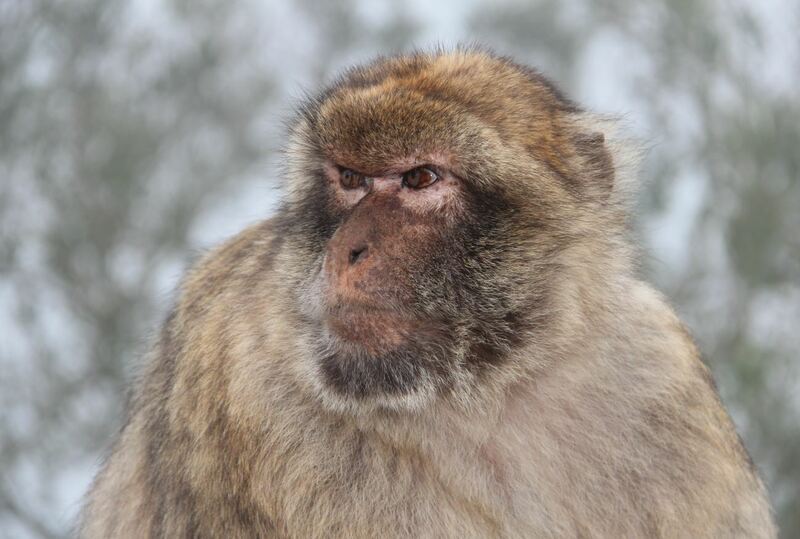 The Gibraltar apes have their own Wikipedia page, and used to be under the care of (indeed, considered part of) the British Army. When I was in graduate school, I made a bet with a fellow graduate student that the apes were indeed given ranks and had a daily roll call by the army. I won the bet, and still have the letter from “the chief officer of ape administration” that I got from Gibraltar. Caught these whilst at the top of a rather damp Rock of Gibraltar last week. . . Because they are used to humans, it is frequently forgotten that they are wild, free-living animals which will bite if threatened. They have learned to undo rucksack zips, emptying the contents everywhere in the search for food: I had to use my walking cane to loudly tap on the ground to get one of the animals to let go of a tourist’s rucksack ! A rook – Corvus frugilegus …….PS: Yes … it is where you think it is ! This entry was written by whyevolutionistrue and posted on December 2, 2018 at 7:45 am and filed under birds, photography, primates, video. Bookmark the permalink. Follow any comments here with the RSS feed for this post. Both comments and trackbacks are currently closed. All very interesting. That is lovely footage of atmospheric scenery around the hawk. 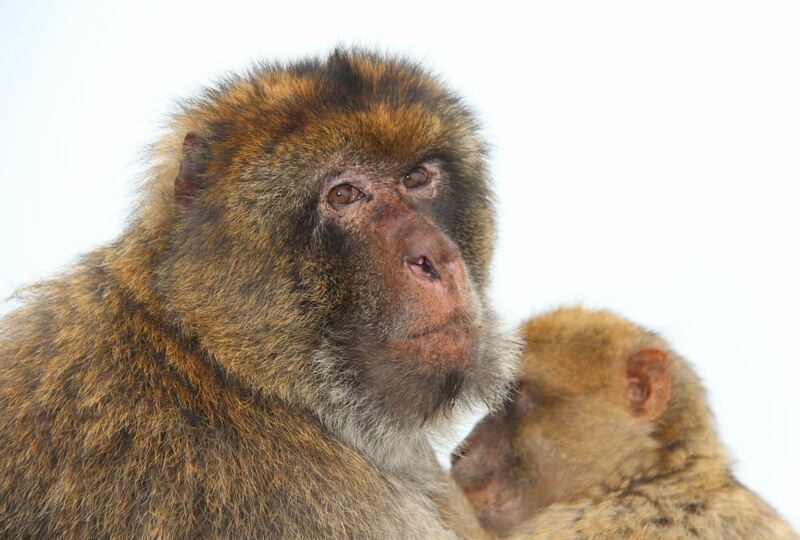 And the macaques have such character in their faces! My gamekeeper-turned poacher friend in my youth would say “A rook on ‘is own is a craw, an’ a craw in a crowd is a rook.” But he was more into the “applied” end of ornithology. I’m seeing woodwork everywhere. See the tenon on the top of the tallest uptight trilithon – there’s a corresponding mortice cut in the horizontal member on the ground. And if you think that’s some piece of work, try figuring out how to put the damned things up with rope, probably no “tackle” (blocks, pullies or other force amplifiers), and a lot of brute force. 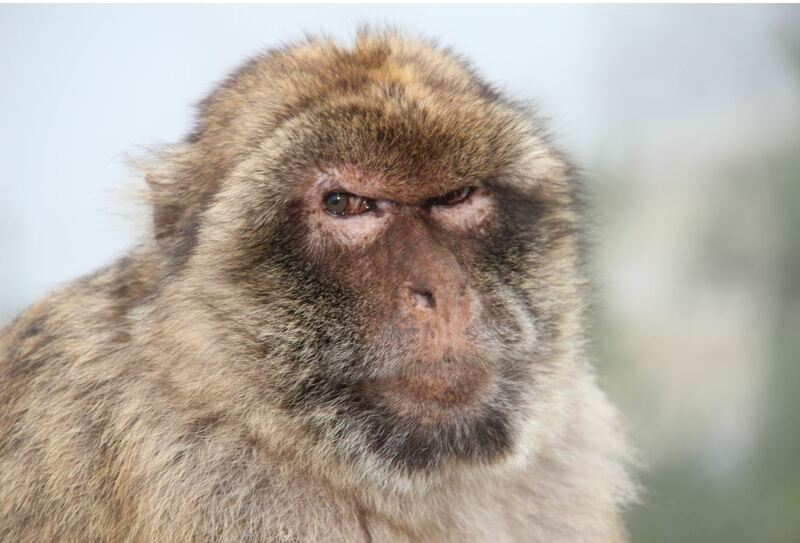 What a grumpy looking ape. He appears to be as sick of hearing about Brexit as the rest of us. 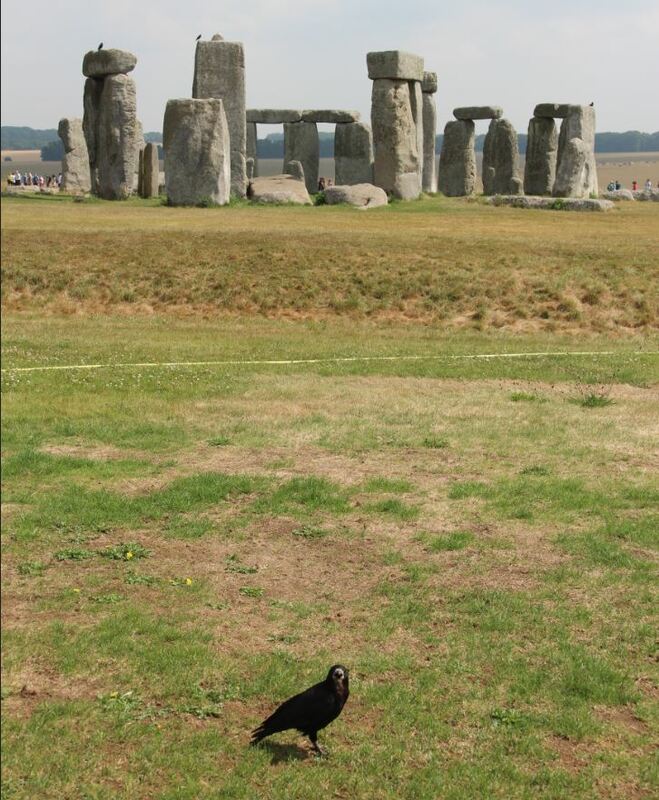 Glad to see the Brits got those stones back upright after the Griswolds knocked ’em over in European Vacation. 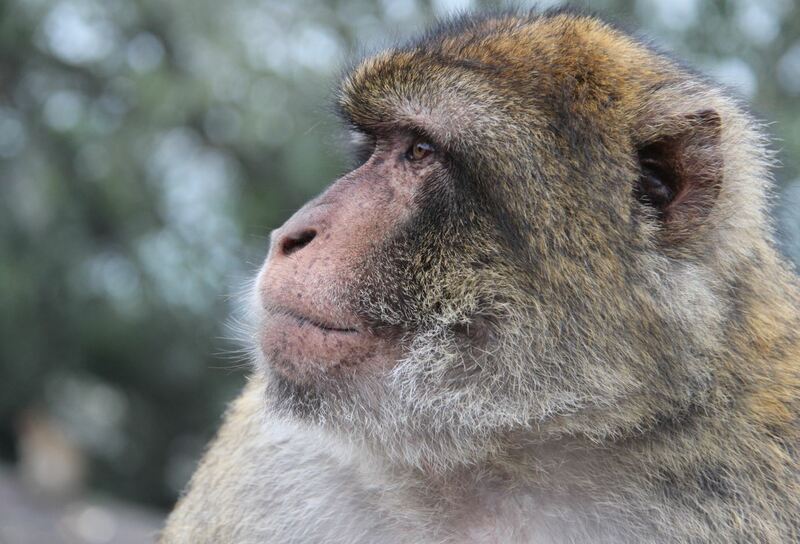 The Gibraltar macaques have been filmed stealing visitors’ possessions and only giving them back in exchange for food. The red hawk footage is amazing! Is Rick Longworth a professional cameraman? I don’t understand how he did that last perfect pan across the landscape without a huge camera and dolly or whatever you call them. In any case, it was marvelous, with and without the hawk. How does one submit photos to Jerry? I don’t see a link or instructions for that.